In October of 1944, several men met at a home in West Hartford to formulate a plan for an Irish-American Society. Prior to this time there had been several Irish groups in the Hartford area some of which had been dissolved due to a lack of a central meeting place. It was felt that a unified single group would best serve the needs of the Irish community. The general mission of the Irish American Home was and continues to be a society that welcomes and brings together Irish and Irish American families and practices and preserves Irish traditions, cultures, music and friendship. The original eight founders were William Carey, Joseph Fergus, Michael Joe Flynn, James Larkin, Peter Molloy, John Sinon, Michael Sinon and Michael F. Tierney, The first president of the IAH was William Carey with Michael Tierney serving as first treasurer. The first of many fundraisers were held at a football game at Sterling Field in West Hartford in September 1945 and was followed by many other fundraisers held during football games at Colt Park. Meetings were held after Mass outside Our Lady of Sorrows Church and eventually at the Erie Tavern on Park Street owned by John Walsh. Within a short time and because of increasing membership, the Irish American Home Society moved to larger quarters within the Lyric Hall at 593 Park Street, Hartford. The Irish American Home Society charter was signed by Attorney Dennis P. O’Connor, Commissioner of Superior Court on February 5, 1947. In 1955 due to a surge in membership and the need for larger quarters, the Irish American Home Society purchased property at 69 Grove Street, Hartford and remained there until our move to our current location 132 Commerce Street, Glastonbury in December 1967. 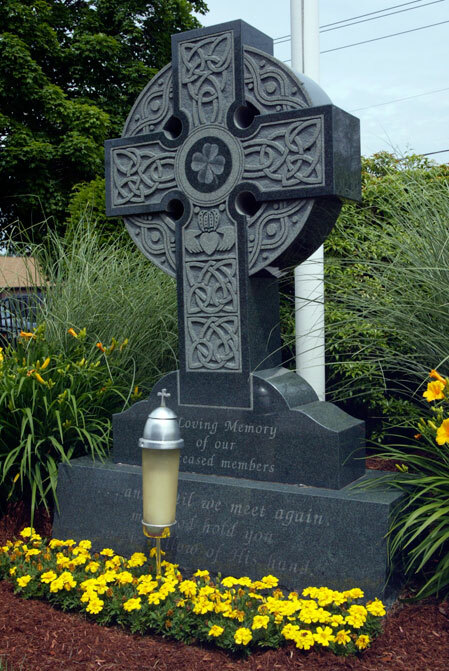 The Irish American Home Society has experienced a rapid growth since it’s origin in 1945. The Irish American Home Society has over 2,000 members. The Irish American Home Society is proud of it’s indoor and outdoor facilities in Glastonbury and trusts that it will be a gathering place for members and their families – young and old, to spend many enjoyable hours. It is our desire to serve all of our members – old and new. We believe that the Irish-American Home Society will continue to serve as the focal point for newcomers to our shores to understand and appreciate our American way of life. We further believe that this society will afford all of our membership the opportunity to continue their appreciation and preservation of the Irish culture. 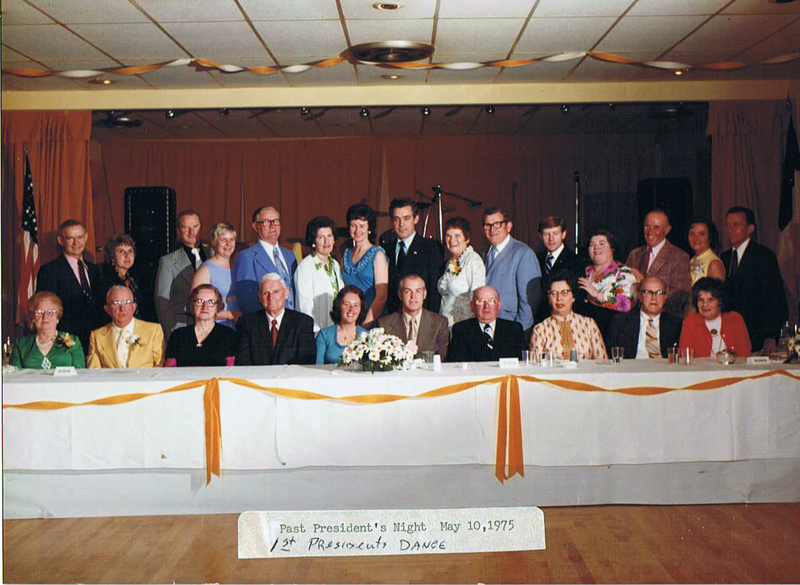 Our First President's Dance - May 10, 1975.